Temporary Tub is a tub created for those who have no room for a permanent tub in a bathroom but do want to take a bath sometimes. 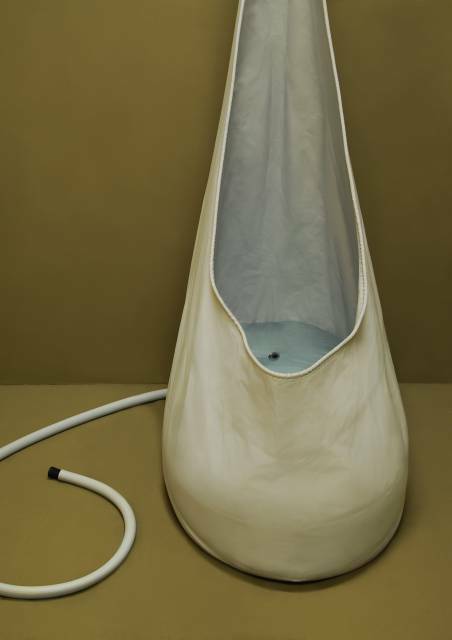 The tub made out of pvc coated polyester can be hung on a hook on the wall and filled with water with the showerhead or a hose. When it is filled the water and the material give each other shape, like a big water drop. 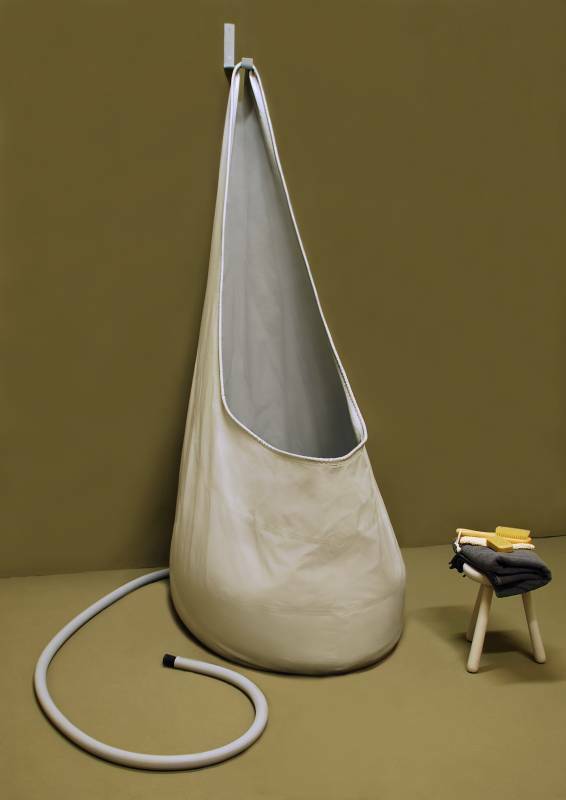 The material reacts with the body and creates a comfortable and embracing space where you can separate yourself for a moment. A place to relax and enjoy the water. After the tub is emptied and dried it can be folded and stored. Besides indoors the tub is also suitable for outdoor use. In the garden, hanging from a tree, on the campsite. A few suggestions for using the tub outside.